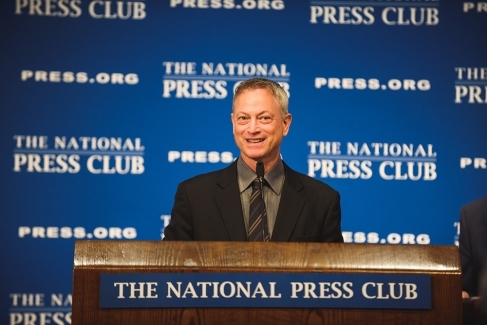 Actor Gary Sinise greeted U.S. Medal of Honor recipient General Jim Livingstone following Sinise's NPC Breakfast event. 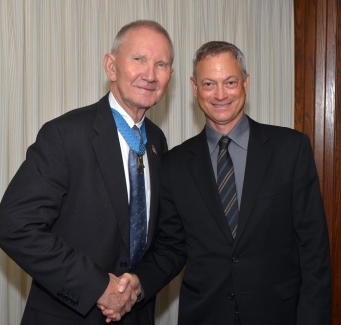 Livingstone also serves on the Board of Directors of the prospective U.S. National Museum of Medal of Honor Museum. 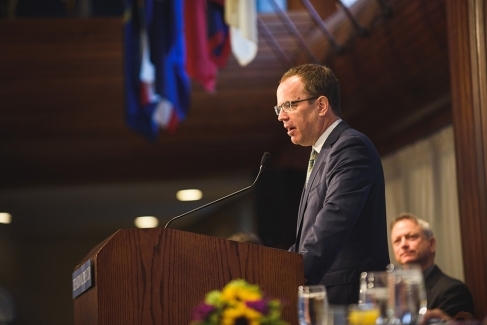 NPC president John Hughes makes introductory remarks at a June 16, 2015 NPC Breakfast event featuring actor Gary Sinise. 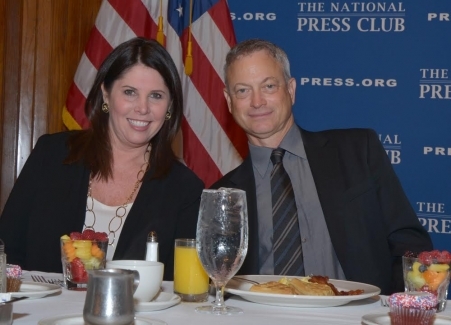 Actor Gary Sinise offers a photo op with NPC member Melissa Charbonneau, the organizer of the breakfast event on June 16, 2016. 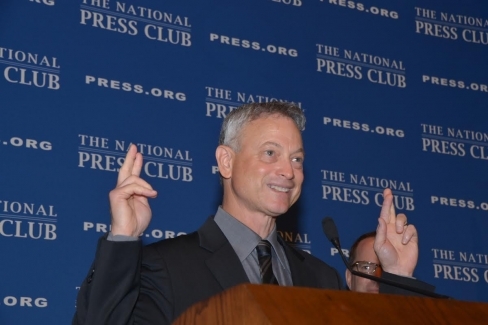 Actor Gary Sinese breaks from the seriousness of his talk about veteran's needs to briefly describe his getting the part in the film, "Forest Gump"  during an NPC Breakfast event on June 16, 2015. 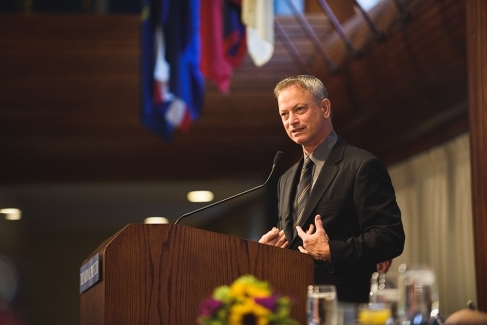 Gary Sinise discusses his advocacy for America's servicemen and women at a June 16, 2015 NPC Breakfast event. 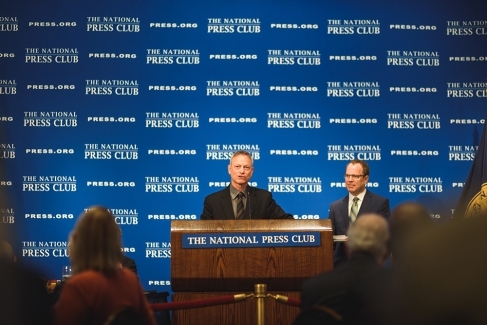 Gary Sinise (left) takes questions from the audience at a June 16, 2015 NPC Breakfast event through NPC president John Hughes (right).